Ratan Chandra Kar worked with the Jarawa tribe, who inhabit an island just 48 km from North Sentinel, and documented aspects of their life. I was in Port Blair earlier this year and had an opportunity to visit the small but impressive Zonal Anthropological Museum. Most visitors to the Andamans are curious about the indigenous inhabitants of these remote islands between India and Myanmar. However, contacting the groups or even taking a photograph is strictly prohibited. The museum offers a window into their lives with models of thatched huts, canoes and pictures of islanders dancing or hunting for fish, leading lives seemingly untouched by the modern world. 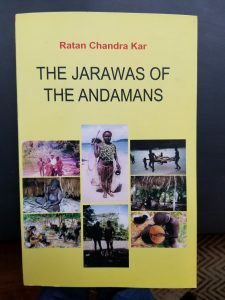 At the gift shop, a book called The Jarawas of the Andamans caught my eye. The author was not an anthropologist but a physician named Ratan Chandra Kar. Originally written in Bengali, the book was published as Andamaner Adim Janajati Jarawa in 2009. Based on his diaries, it was an account of an indigenous group called the Jarawa that had emerged from semi-isolation after a prolonged period of hostility. 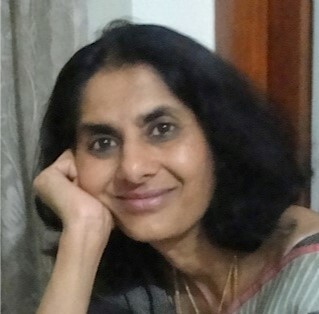 Kar was the medical officer who had monitored their health, working out of a primary health centre housed in a thatched hut in Kadamtala village. Over time, he grew friendly with the Jarawa and observed their unique customs and habits from close quarters. He is also credited with bringing them back from the brink of extinction during a measles epidemic in 1999. The book touches on all aspects of their life. Observations on the state of their health and vulnerability to disease soon after they emerged from isolation in 1996 are particularly relevant in light of recent events. Last week, North Sentinel Island made international headlines when John Allen Chau, an American missionary, was found dead on its shores, killed by arrows. The Sentinelese are fierce defenders of their tiny forested island fringed by coral reefs, and are believed to be are among the most isolated communities on Earth. Survival International, which campaigns on behalf of indigenous and uncontacted populations, is concerned about the current situation on the island. “Their extreme isolation makes them very vulnerable to diseases to which they have no immunity, meaning contact would almost certainly have tragic consequences for them,” a statement said. What happens to isolated communities when they first come in contact with the outside world? 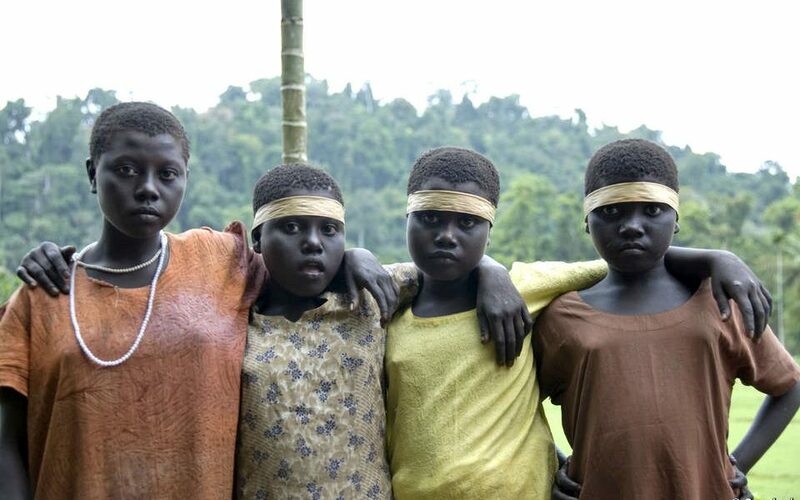 The story of the Jarawa provides some clues, and they have ancient links to the Sentinelese. The Jarawa homeland is roughly 48 km from North Sentinel Island. Some scholars believe the Jarawa migrated to the island in rudimentary boats in ancient times. 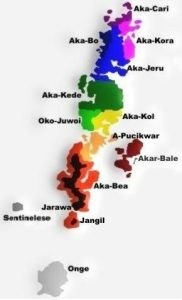 The languages of the Andaman islands. When he first met the Jarawa in 1998, Kar found them to be in exceptionally good health. He describes them as “well built and apparently healthier than any other tribal community on the mainland, even better than the common rural people.” Conditions like obesity, hypertension, heart disease and even mental illness were foreign to them and they were practically disease-free. Injuries from crocodile bites, worms and skin ulcers were common ailments. Every Jarawa family made “alam”, powdered red clay mixed with pig fat which they used for minor aches and pains. Kar was once invited to witness what he calls the “thousand years old rich traditional delivery system”. The Jarawa were utterly confident in their traditional birthing methods and never sought the help of a doctor. They used a variety of techniques rarely seen in modern obstetrics. In order to ease labor pain, women in the community would warm their feet over a fire and apply mild pressure to the belly of a pregnant woman. The husband was the “obstetrician” extracting the baby and cutting the umbilical cord with a heated hunting knife. And women typically gave birth in a squatting position which Kar found was beneficial for both mother and baby. Kar urged caution on the issue of vaccination. The “inherent immunity” of the Jarawa, he argued, was far better than “immunity gained if at all done by modern vaccination system.” One example of their immunity was the absence of Hepatitis B even though more than half the population were carriers. Other experts however were alarmed that 66% of the Jarawa were testing positive for the Hepatitis B antigen, a rate “probably the highest ever reported in the world.” Immunisation is now routine for all Jarawa children. The tribes of Andaman islands. Credit: Bidyut Kumar Das. 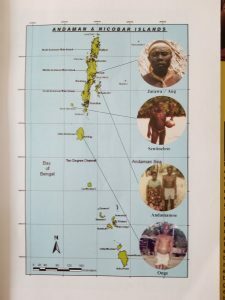 The Jarawa population has grown and they have fared better than other islanders. A related group, the Jangil of Rutland Island, became extinct in 1931 while the Greater Andamanese and Onge, who were brought into the mainstream, have seen steep declines in their numbers. The government of India has heeded the advice of experts like Kar who warned that any attempts to “civilise” the Jarawa by giving them clothing or education was likely to put their very existence in jeopardy. This week the “leave them alone” policy was once again put to the test as Survival International and Indian scholars pleaded with Andaman officials to abandon attempts to approach the shores of North Sentinel Island to recover Chau’s body.